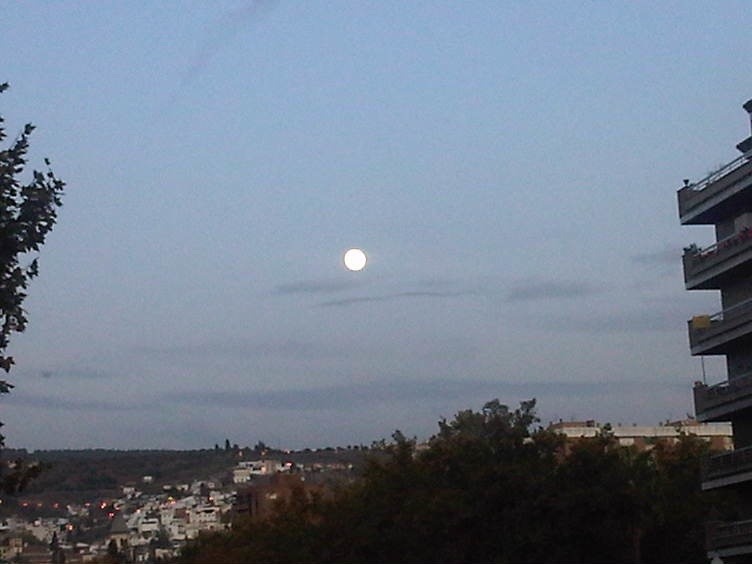 As I walked home this evening with the sun going down I looked up and saw this beautiful moon shining over the city………..another reason to love Granada. It is inevitable that at one point during every tour someone will ask the question, “What is your favorite city in Spain?”. This is almost impossible for me to answer. Certain cities become a favorite because of their magic and beauty. Others become a favorite because of memories and moments. And some embrace both for me. Although my list is ever changing, there are always a few that rank at the top. I never include Granada because it is a constant in my life, an ongoing affair of love and life. Toledo caught my heart from day one not due to its beauty and history, but because it proposed a great challenge to me. The incredible ease at which one could get lost within its streets. And lost, I have been. Luckily I have been blessed to have spent many nights in Toledo and now it is a rarity that I get lost in its labyrinth of small passageways and dead ends. For me, Toledo is an outdoor museum. Sometimes I close my eyes as I wander about and I can feel the history that has passed through it’s cobblestone streets. Last March after being under the city to visit the old Arabic baths we climbed up to the top of one of the main gates of Toledo, La Puerta de Bisagra. The city was bathed in the light of the full “super” moon. The immense beauty caused our group of 30 thirteen year olds to fall silent. Something quite difficult to achieve. Apart from the city itself, friendship has also tied me to Toledo throughout the past 15 years. 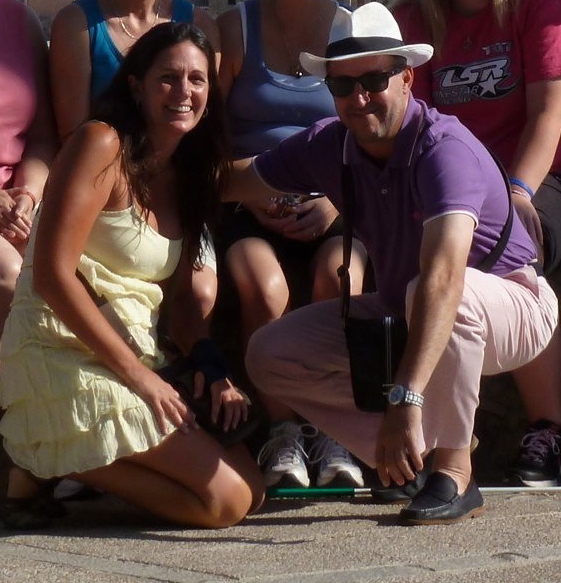 My friend Mario is one of the people in Spain who has taught me how to really enjoy the moment. No matter where we meet up to have a beer or eat lunch he always has one of those flashes where he looks up, nodding his head and says, “has visto que bonito es?”. Can you see just how beautiful it is? Not only has he shown me some of the most wonderful views, restaurants and bars in the city but he also reminds me continually about how to savor every second of life. 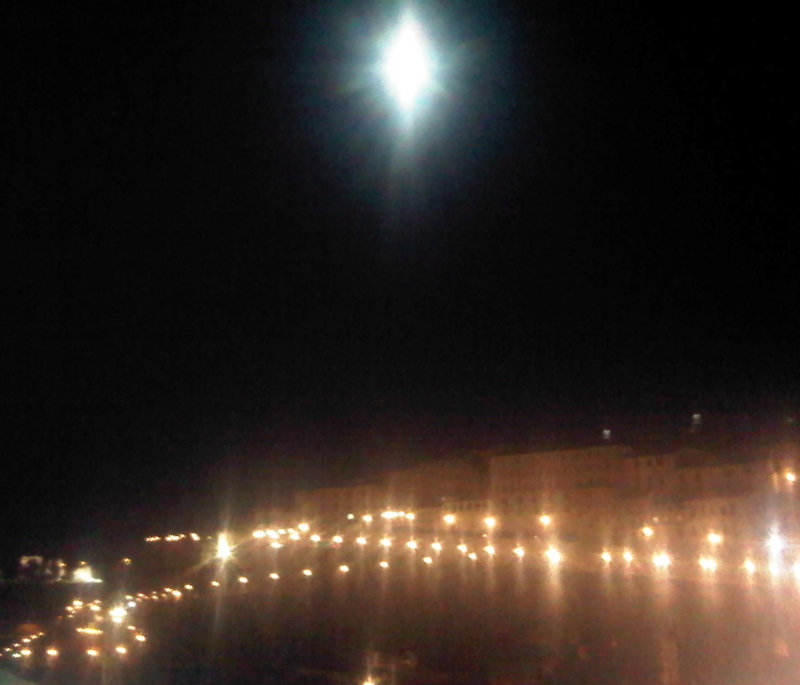 In 2011 I spent the night in Toledo with 4 different groups and all of them coincided with a full moon. I realize this is just coincidental but it adds to the magic. In June I watched the entire lunar eclipse from a beautiful lookout point over the city. Accompanied by a friend and a gin tonic garnished with black pepper. As I fell asleep that night my life felt like a bit of a dream. When I lived in the States I used to give myself a New Year’s present each year. It was the We’moon Astrological Datebook filled with beautiful artwork, poetry and all types of amazing moon love. In Flagstaff I would trudge through the snow and ice up to my favorite book store to get my new copy each year. Then I would cross the street to the best coffee shop in the history of coffee shops and order a nice soy latte and an almond danish and dig into my new We’moon. If I was really lucky, the snow would be falling on South Beaver Street and all would be bliss.